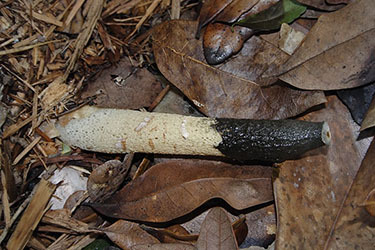 This stinkhorn is probably Phallus ravenelii, and is found in eastern North America. 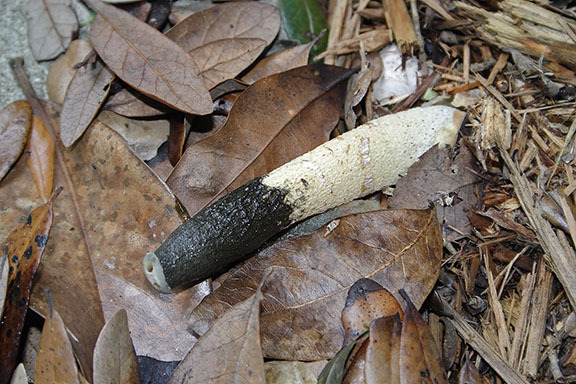 The genus name referring to the shape of the mature fruiting body. These fungi emit a putrid aroma, attracting flies that help distribute the stinkhorn spores. 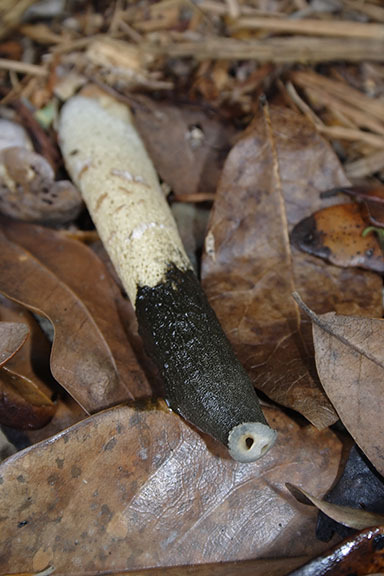 For more information on these stinkhorns, visit Mushroom Expert. I had originally thought that this was one of the Mutinus species - dog stinkhorns - which usually have pinkish fruiting bodies. Thanks to Bill Petty of Florida Fungi for helping me out with this one.